Phoenix Fringe Fest is coming! Over the next two weekends, downtown Phoenix will be transformed into a theater mecca. Did you just do a double take? We did too. Introducing the Phoenix:Fringe Festival, which will transform Roosevelt Row and Grand Ave into an experimental performing arts hub March 27 through April 5. 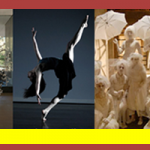 PHX:Fringe showcases local, national and international artists in provocative, edgy performances in favorite downtown arts spots. Modified Arts, 3rd Street Theatre, Space 55 and Tumbleweed Drop In Gallery are joining the fun on the east side, while PHiX, Soul Invictus and the Chocolate Factory are representing the west side. DPJ will traverse the galleries and spaces in search of pure, unadulterated entertainment: Expect everything from short performances about ninjas, B-horror spoofs about severed heads and multi-performance laser-beamed looks into family life to a wacky one-man journey through black music history and a deeply comedic look into the life of Jewish grandmothers. Viewing these shows in nontraditional arts spaces only adds to the fun, bringing the crowd as close as possible to the performers, offering a unique, in-your-face perspective. 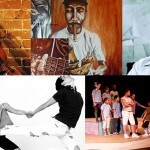 The PHX:Fringe Festival is a nonprofit organization founded last year that is dedicated to bringing community theatre to the communities of downtown Phoenix. Though it’s modeled after an ages-old Fringe Festivals of the ’40s and ’50s, PHX:Fringe is quickly becoming one of the most important of the modern Fringes, promoting open artistic live expression. Head to the site to donate, volunteer or buy tickets for performances. Five-show passes are $30, 10-show passes run $50.